These days, designers love to collaborate with stores. Diane von Furstenberg, the designer of the iconic, cheerful, easy-to-wear wrap dress, is bringing out a limited girls and baby collection at Gap. The product line consists of dresses, jerseys, capri leggings, sandals, blazers, accessories and more for Gap Kids and Baby Gap. The style of the collection is very colorful and has many fun feminine prints. 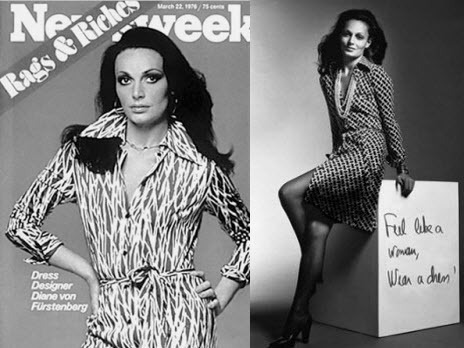 Who is Diane von Furstenberg? Diane von Furstenberg is a top American fashion designer. She is the creator of the body-hugging wrap dress so emblematic of 1970s fashion that it hangs in the Smithsonian Institution. Ms. von Furstenberg has had two separate fashion careers. Her business skyrocketed in the 1970s, crashed in the ’80s and, unpredictably, is thriving today. In the 1990s, a new generation of women discovered her clingy print dresses in vintage shops, prompting the resurrection of the brand. Today the dresses are worn by women like Jessica Alba, Madonna and Jennifer Lopez. Find out more more..